At Ottawa Garage Door Repair, we are the experts in garage door repair and garage door openers in Ottawa and the surrounding areas. With more than 15 years of experience in the sale, installation, maintenance and repair of all kinds of complete garage door systems, we have built up a stellar reputation for quality and service. Whatever maintenance, adjustment, or repair your garage door requires, In Ottawa Garage Door repair we have highly skilled technicians that will be able to quickly and accurately identify and fix any problem they might find. To keep your residential garage door system in optimum condition, we have also created an annual preventive maintenance program. This program will help you avoid unpleasant surprises and you’ll rest easier knowing that you’re also saving precious time and money. 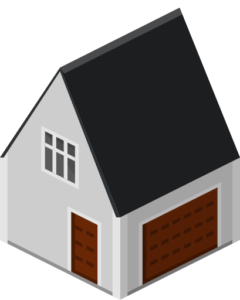 An ounce of prevention is worth a pound of cure and in the case of your garage door system, this definitely holds true. Sign up for our maintenance service and keep your garage door system in top shape for years to come. Does your garage door system no longer work like it used to? We can help! With age, your door may start to experience certain problems. It may no longer close properly or it may stop before it reaches the ground. It may also feel heavy, be difficult to open, or no longer open at all. Contact us today for all of your garage door needs. We will guarantee your door will be fixed quickly and correctly.